You can find good places to walk in Connecticut and organized walking events. The city of Hartford was designated the 11th fittest city in the United States. Find competitive walking races, non-competitive walks and fun walks in Connecticut. Active.com Walks: This is your best resource to find organized walking events in Connecticut. It will include charity fundraising walks, walks organized by community health groups, walks that are held as part of running events and walker-friendly races such as half marathons and marathons. Check the details for each event to find out if it is what you are looking for. You can often register for these events online through Active.com. The registration fees will vary with the event. Ahotu Walk Calendar: This walking calendar pulls in all events in Connecticut that are tagged as having a walk. AVA Walking Events in Connecticut: Often a search of the American Volkssport Association database for Traditional (scheduled) walks comes up with none in Connecticut. But you will find these great non-competitive walks hosted at times, and they are always open to the public to come and enjoy for a small fee. You can see if the Connecticut Valley Volkssport Club is having a group walk for their club members and join in with them.These walks are sanctioned by the American Volkssport Association. Runner's World Connecticut Events: If there's a run, they may well also be a walk, or the run may have a walker-friendly time limit. You'll have to the detective work to find out which runs welcome walkers as well. Racewalking Events: Look for competitive racewalking events that are near enough to Connecticut to attend. This list is provided courtesy of Racewalking.org. Year-Round and Seasonal Connecticut Walks: Search for year-round and seasonal events and you can enjoy walking routes in Hartford, Mystic and other great Connecticut locations. These routes are designed by walkers for walkers. They are from 5K to about 11K in distance. The beauty of these walks is that you can do them by yourself at any time. Check the information and go to the start point, register in the log in the start box, take a map and enjoy the route. Routes are sanctioned by the American Volkssport Association. Connecticut Walks at MapMyWalk.com: The route database at MapMyWalk has been growing for many years, and now it is very easy to find a walking route wherever you may be. Not only that, but you can use their mobile app and take one along with you. If the walks other people have designed aren't quite what you want, you can draw, map and measure your own online. 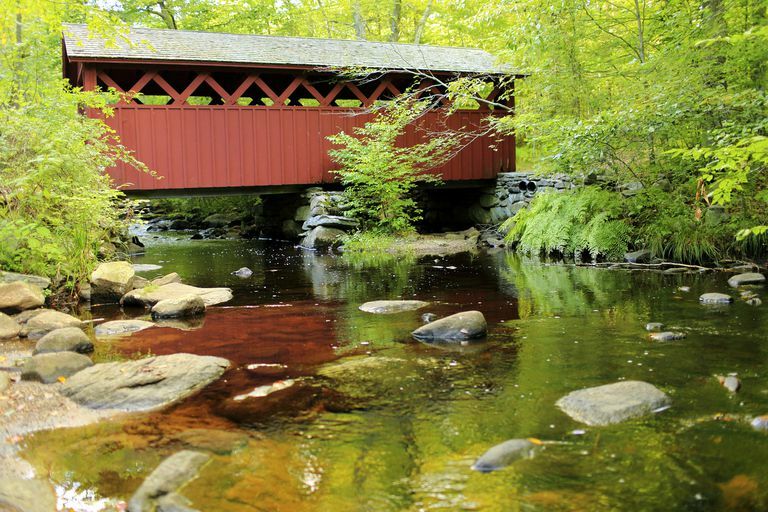 Connecticut Trails: Trails.com is a great place to browse for walking trails. You can see where they are and get the basic facts. If you want more, you'll have to pay for a subscription, but that may be enough for you to do the research yourself. Connecticut Walking Clubs of the American Volkssport Association: The state has only one AVA walking club, although they welcome having more clubs form. Check with the current club, the Connecticut Valley Volkssport Club. They have regular group walks together.